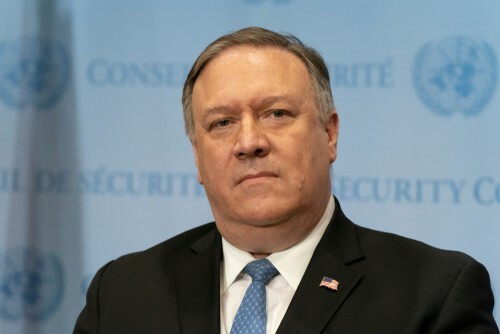 While in Jerusalem, Secretary of State Mike Pompeo was fielding questions from Pat Robertson’s Christian Broadcasting Network when he ended up making headlines with a biblical answer that seemed designed to send Twitter blazing. You may have already heard that Pompeo compared President Donald Trump to Esther, saying they were both raised up to save the Jewish people. That’s a technically accurate summary of what went down, but the context of how it happened is important to understand. That’s not entirely true, as it was CBN itself that first drew the comparison, and Pompeo didn’t explicitly refute it. The exchange comes after Trump made waves by announcing the U.S. would recognize Israel’s sovereignty over Golan Heights, a 460 square mile region that previously belonged to Syria but was occupied by Israel in 1967 and annexed in 1981. The international community has not formally recognized the annexation and Syria has continued to demand its return. The most recent round of peace talks fell apart in 2000.